The Bright Soul line of inspiration card deck, matching hard-cover journal and zippered pouch is ready to set you on an experience of illuminating self-discovery and expression. Will you shine a light on your bright soul? Give yourself permission to live fully. You deserve it! If you are longing for a pathway of how you show up in the world, let the Bright Soul inspiration deck of action words, vibrant colors, and insights guide your way. Individual Bright Soul items available while supplies last (see below for all the details). Just as I'd been longing to combine writing and art into a creative practice, the Universe suggested creating a card deck. And now that I've gained the courage to display my art publicly, the card deck and accessories are released to the world. The word on each card is a recurring theme in my writing practice while discovering pathways to mindful living after a great loss. 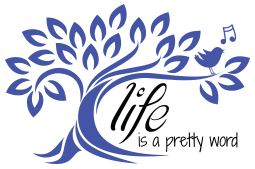 As a grieving mother, my collection of words, art, journaling, and intentions, helped me feel grounded and more balanced over time. Honoring my passions and emotional reactions have restored my purposeful life. 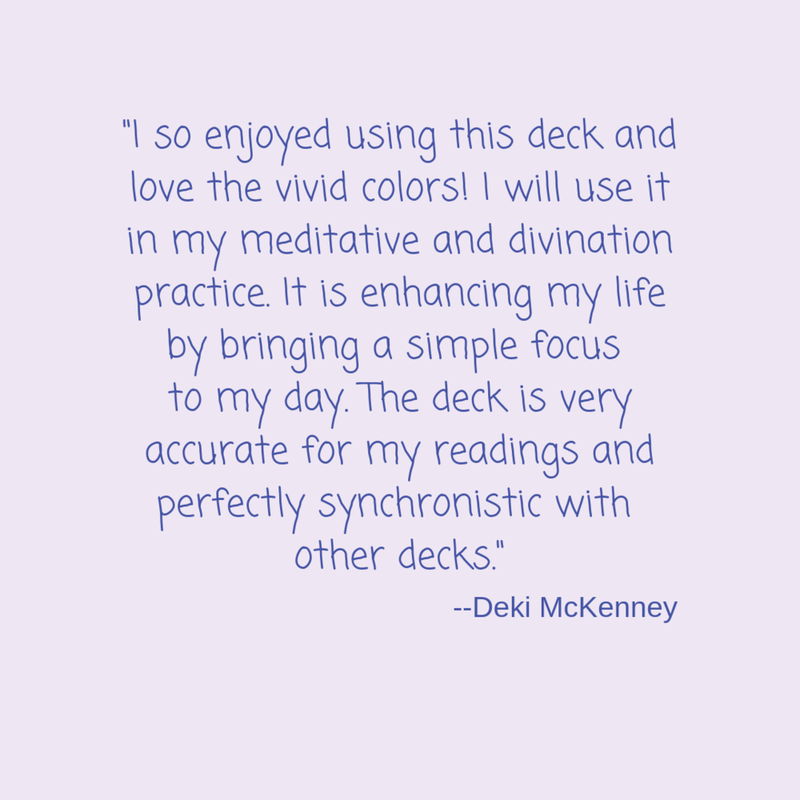 Let the Bright Soul card deck guide your journey one mindful step at a time by inspiring your journal, sketch, meditation, or yoga practice. Pull a card as a daily mantra, a focal point for your daily workout, or to start a conversation. Your Bright Soul inspiration card deck will arrive in a matching tuck box. The card deck includes 32 bridge size cards (2.25” x 3.5”). The full-color 40-page guidebook supports additional intuitive understanding when needed. May the words, images, and colors inspire and illuminate your path every day. What better way to capture your thoughts, doodles, ideas, and revelations than with a matching Bright Soul journal? In a just right size to take with you everywhere. The Bright Soul Journal is 128 pages of blank or ruled line (your choice) 90 gsm paper stock bound in a 5.2” by 7.3” wrap around hardcover with a vibrant, fully printed design on the front and the back covers. Here is a great way to hold all your Bright Soul inspiration in a convenient, ready to go, zippered pouch. You’ll head out with that bright feeling throughout your day with this pouch happily holding all your Bright Soul inspiration in one place. Makes the perfect gift for a friend (or yourself!) when purchased with the inspiration card deck and journal. The Bright Soul zippered pouch (9.5" x 6.5") is roomy enough for your Bright Soul inspiration card deck, Bright Soul journal, and a few of your favorite pencils and pens. The high-quality double-sided print won’t fade. The pouch is durable 100% polyester canvas, fully lined and has a metal zipper. Can be cold machine washed and low tumble dry. PRE-ORDER of Bright Soul packages has ended for 2018. However, individual items may still be ordered while supplies last. Thank you! Bright Soul inspiration deck and accessories were thoughtfully made for you in the USA. USA and Canada sales only. 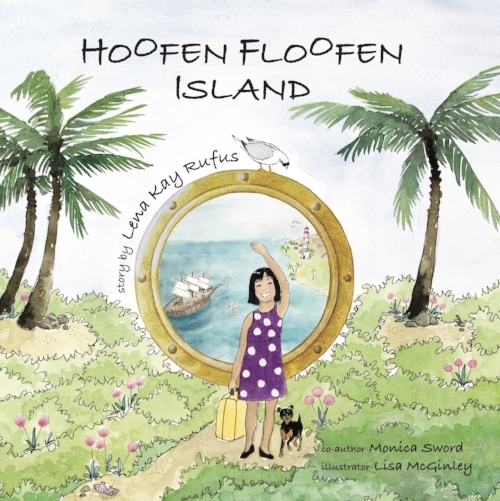 Experience the fantasy of Hoofen Floofen Island as brought to life through the voice of it’s 10-year old author Lena Rufus . An included discussion guide will encourage your child to write or draw their own tale. The proceeds of your purchase benefit recipients of the Lena Kay Rufus Memorial Scholarship Fund. For the month of November 2018, to celebrate Lena’s birthday, receive 10% your purchase of her book, while supplies last. For more about Hoofen Floofen Island, check out the story behind the story.